Has your MacBook Air not getting boot? Don’t worry! 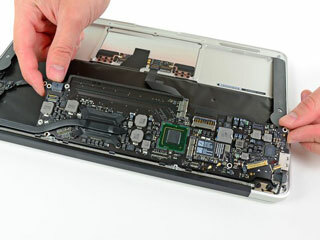 Our MacBook Air repair expert technicians will bring it back to life. We first diagnose your MacBook Air. Diagnosis has no charges. and then will let you know the repair charges and time to repair. From simple MacBook Air screen replacement or battery replacement to complex MacBook pro logic board repair, We have solution for all! We know the purpose of the MacBook Air. It is brought by many users for their business use. it's light, ready to move and fit anywhere in bag pack also. We respect your busy time line and provide a best solution for your MacBook Air Repair. If the problem is with MacBook Screen or Battery our expert technicians end the work within hours and the problem is with logic board then it may take 2-3 days. Cracked your MacBook Air screen? Call us in and get it replaced in no time. Our MacBook Air screen replacement service is quick and affordable. Our MacBook Air screen replacement service is simple and fast. You call us, we come to you, we take your MacBook Air to one of our store in Mumbai, Thane or Navi Mumbai and fit the screen, we bring it back. It is that easy, No hassle. You can direct walk-in to one of our store. Just drop your MacBook Air in and we’ll fix it while you wait. We keep a almost every variety of MacBook Air screens in stock, and fit the high-quality parts as per customer need. MacBook Air battery not giving enough battery backup to complete the work? Well, get it replaced in no time. If you are looking for the MacBook Air battery replacment near to your location in Mumbai, Thane or Navi Mumbai then you are at right place. we provide a Onsite service for the MacBook Air battery replacement. Sticky keys not working properly or keyboard certain keys stick inside, thanks to our MacBook Air keyboard replacement service. You’ll get the same quality keyboard and backlight you would from an Apple service or repair. Our MacBook Air keyboard replacement service is cheaper and convenient. We only charge you for the spare parts and the work. We provide warranty on the MacBook Air Logic board repair services that we provide in Mumbai and Thane. We would pick up the damaged device for free from your doorstep and drop it at your home after repairing it as well. It is common knowledge that such work is really complex. Normally in these cases, micro soldering needs to be done on the MacBook Air logic board. It normally takes anywhere between 24 and 48 hours to perform the complete diagnosis in these cases. This is because in case of such repairs all the components have to be checked individually and it takes up quite a lot of time. It is only after the early diagnosis that we provide our estimates. Fast. Convenient. Simple. That’s our MacBook Air hard drive replacement service. If your data disk dies, don’t assume your MacBook Air has just turned into a hunk of useless metal. Call us, and we’ll solve the problem. Whether it means taking your existing drive out and putting in a new one, or repairing the drive you’ve already got. Our MacBook Air SSD repair service is carried out by experienced professionals. We know MacBook Air inside out and back to front. Our specialist team of MacBook Air engineers will quickly diagnose your data problem, and can often complete a repair on the spot. In fact, 90% of MacBook Air issues are resolved by our engineers on the day the problem is reported. 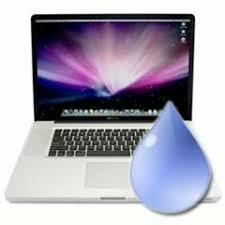 Water damage affected your MacBook Air? 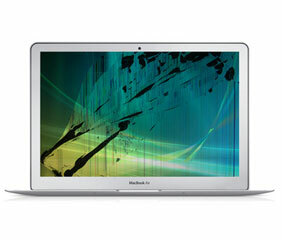 Our Apple water damage repair service is the quick and cost-effective way to save your MacBook Air. We’ll replace the affected parts and get your MacBook Air working again. Apple’s one year limited warranty, which is sold with all new Apple products, doesn’t cover your MacBook Air in the event of water damage. Neither does the Apple Care Protection Plan. And the average Apple water damage repair cost is high. In many cases, it can be more cost-effective to throw a water-damaged Apple product in the bin, and replace it with a brand-new model.